After many trips to Switzerland, this year we added Austria to our travel plans. Glad we did. The mountains are spectacular, though they don&apos;t sit as majestically as in Switzerland; their coffee and pastries were equally delectable and even a tiny village bakery offered the widest variety of healthy breads. Verily, M was in bread heaven. Despite our urban upbringing, or perhaps because of it, we love rural travel. Be it India, US or Europe, we both enjoy the joys of small villages; simpler beautiful people and less complicated lifestyles. Just give me a comfy bed and a good cup of coffee for breakfast, and I promise not to be cranky. But we couldn&apos;t really visit Austria and not tour the spectacularly beautiful cities of Vienna or Salzburg. In Vienna particularly we were overwhelmed by the imperial architecture. We couldn’t walk anywhere and not come across a palace, a noble residence or imposing government offices. All buildings were immaculately maintained, from the elaborate copper cornices to the tiny flags on sides, and flower arrangements in surrounding gardens. I took ample pics of beautiful buildings, but alas, on reviewing them they all looked similar and I couldn&apos;t tell which building was whose palace! In my mind too, nothing stuck. Except, the imposingly Gothic “Stefansdom”. 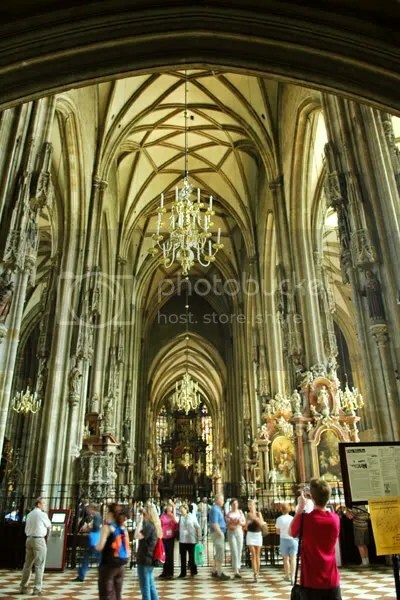 While the palaces were certainly more opulent, this 12th century cathedral is the cultural heart of Vienna. All roads lead to it! Situated at the cross-roads of an intricate maze of streets with curio shops, book stores, cafes, bakeries (think pastries) and delicious ice creams. Despite the gray, water marked exterior, the interior was massive and carefully maintained. Even my widest lens could not capture the interior in one frame. This pic with my 17-55 lens kinda gives you the idea! The place was packed with tourists and certainly not conducive to communing with the divine. Worshipers must come at other times. An example of the exquisite workmanship in niches. There must have been nearly a dozen such niches and chapels, throughout the church. 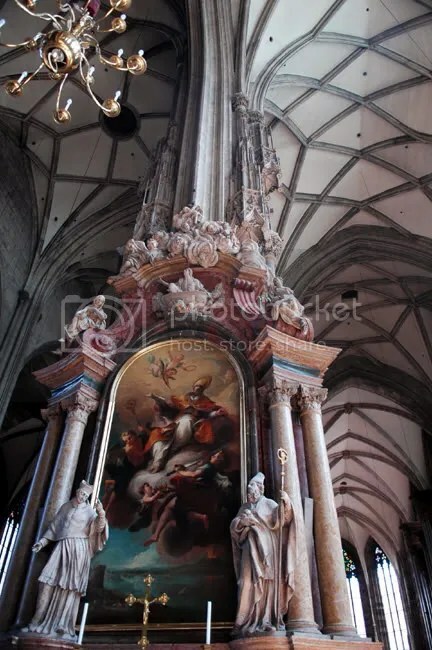 One could easily spend a week observing the details of the pillars and the ceiling. 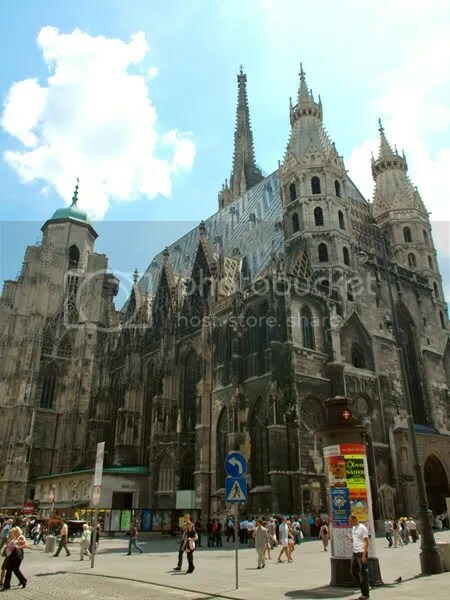 The most beloved and imposing landmark in Vienna – the Gothic masterpiece Stefansdom sitting in Stefansplatz. Note the intricate chevroned artwork on the roof made with glazed tiles. 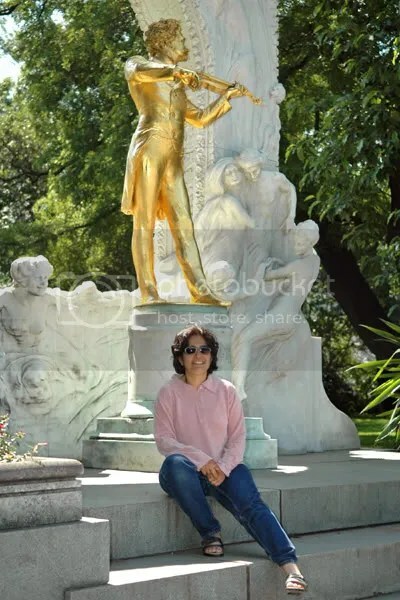 M at the feet of Johann Strauss. The angelic figures around him suggests that listening to his music would elevate you to heaven. 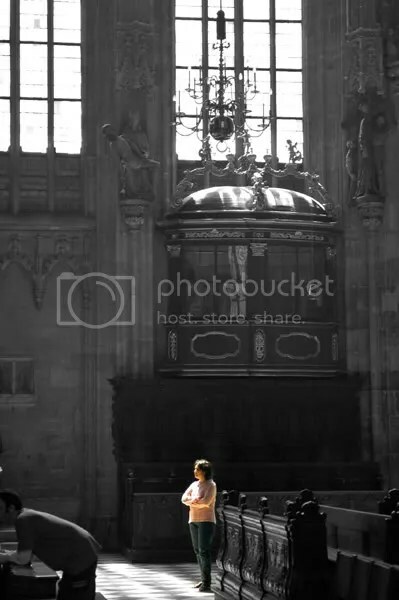 Apparently, Austrians have not heard Pandit Jasraj. 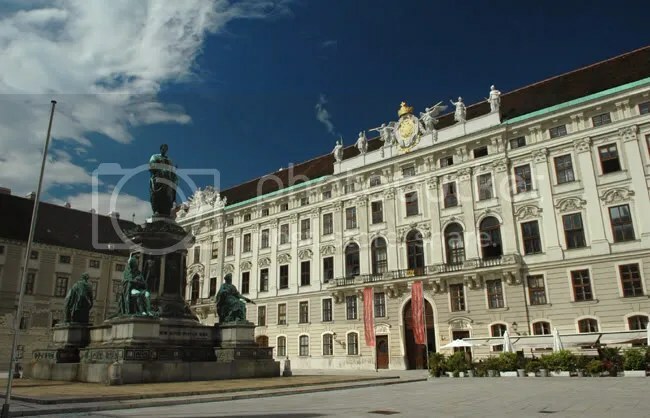 Heldenplatz in the Hofburg, part of the cluster of Imperial Palaces and Residences. From here for more than 600 years, the Hapsburgs ruled the Austrian-Hungarian empire. In March of 1938, after the German army entered Austria, Adolph Hitler rallied the Viennese from this balcony. Thus began the Third Reich!